I read this article and found it very interesting, thought it might be something for you. The article is called Hemlines: Stacey Wall – Straw Boys and Tulle Swathes and is located at https://www.totallydublin.ie/more/fashion/hemlines-stacey-wall-straw-boys-and-tulle-swathes/. Stacey Wall – the sole Irish designer to score a place on Peroni’s Fashion Studio programme – conjures up her creative approach for AW19. When The House of Peroni announced its plans to merge a mentorship scheme with an impressive studio space, devising a seven-month programme that would spawn an on-schedule appearance at London Fashion Week, it’s little wonder that prospective candidates flocked from across the UK. After whittling down all manner of enthused entrants, eight designers were chosen for their inherent individualism and thirst for self-improvement; a new generation primed to take the emerging-talent baton that (Christopher) Kane and (Mary) Katrantzou once clutched. Debuting a Creative Council that was crammed with industry heavyweights – including the talent-spotting eyes of Pandora Sykes, Anna Orsini and Jonathan Saunders – The Fashion Studio programme was embraced as the latest addition to London’s ever-evolving incubator hubs, the veterans of which range from On|Off to Fashion East. 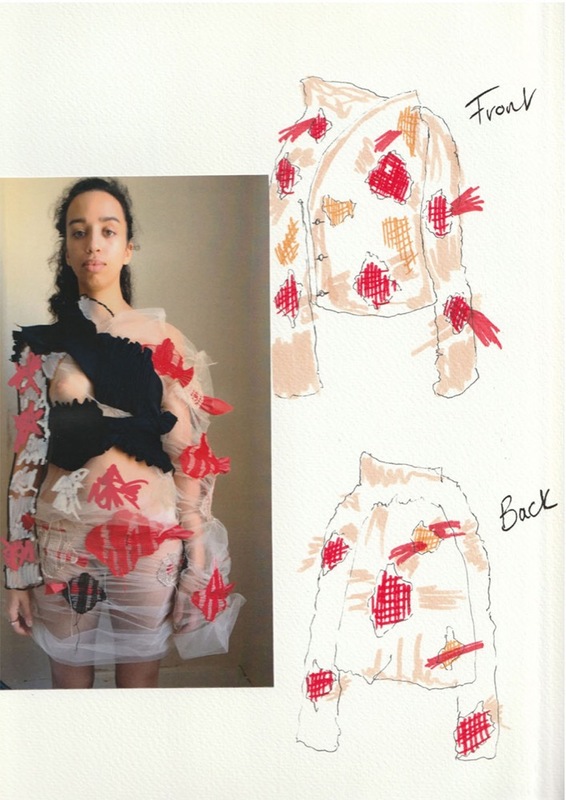 Considering the city’s ongoing love affair with Irish creatives – Simone Rocha and Richard Malone, among many others, command rapt attention each fashion month – it comes as no surprise that a Cork-born, Central Saint Martins-trained designer landed a coveted spot on the scheme. Before getting to know the character behind the cloth, I first became acquainted with Stacey Wall through her graduate collection. At first glance, these garments looked like a masterclass in design dexterity: multi-layered silhouettes that screamed tactility, tulle and lace in shades of rich red and luscious cream. Rather than absorb them from afar as they floated down a catwalk, The House of Peroni staged a static exhibition of Wall’s pieces over the summer, allowing Irish fashion admirers a 360° scan of her work. It quickly became clear that her creative ethos was in harmony with London’s most celebrated young designers, Irish or otherwise, as her ability to weave compelling narratives through the medium of clothes was unmistakable. I spoke with Wall around the start of her time with Peroni. At that stage, she had clocked up several weeks in their streamlined design studio and commenced one-on-one meetings with mentors – she was fresh from a sit-down with Jonathan Saunders when I rang. Having only graduated from CSM the year before, Wall acknowledged that the whole process “happened very fast. 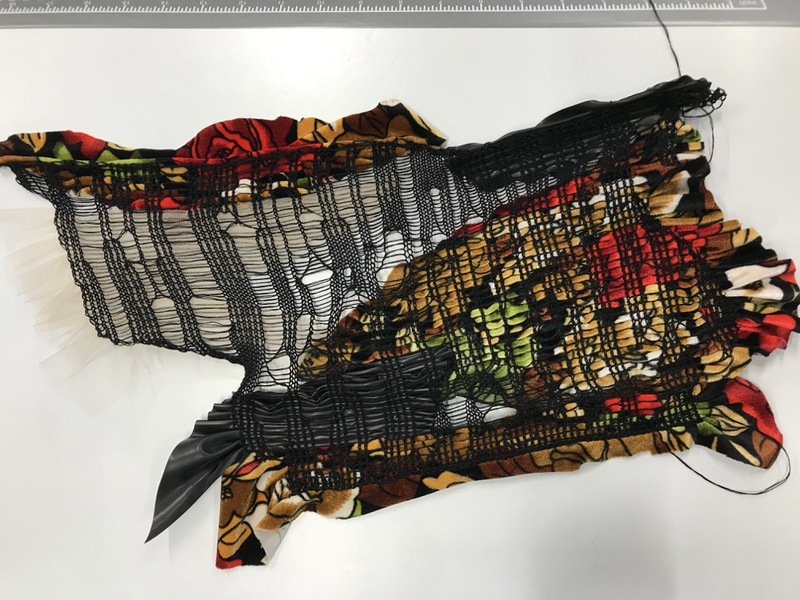 One of my college tutors sent through the Fashion Studio link, I sent through some work to Peroni – a portfolio and so forth – and after I got through to the next round, I sent some more stuff over. That was it, really.” Her exposure to the industry’s inner workings arrived before emerging from fashion college, when she cut her teeth with Charles Jeffrey – a fellow CSM alumnus who was catapulted to acclaim when his label, Loverboy, was still in its infancy. 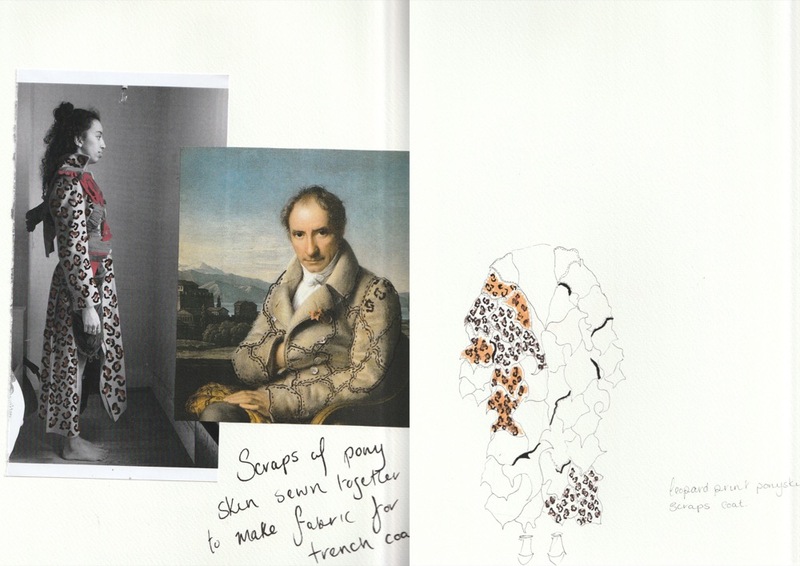 Having hurtled from internship to final BA collection to fashion programme, Wall was thrilled “not to have had a lull – it keeps the momentum going.” Considering London’s faster-than-fast pace in its creative sectors – but especially within the sartorial side of things – thriving on that velocity is integral. Stacey Wall, as part of the House of Peroni’s Fashion Studio, will be in the British Fashion Council’s Designer Showrooms for AW19 London Fashion Week (February 15-19).